This paper introduces a new computational method to solve differential equations on subdivision surfaces. Our approach adapts the numerical framework of Discrete Exterior Calculus (DEC) from the polygonal to the subdivision setting by exploiting the refinability of subdivision basis functions. The resulting Subdivision Exterior Calculus (SEC) provides significant improvements in accuracy compared to existing polygonal techniques, while offering exact finite-dimensional analogs of continuum structural identities such as Stokes' theorem and Helmholtz-Hodge decomposition. 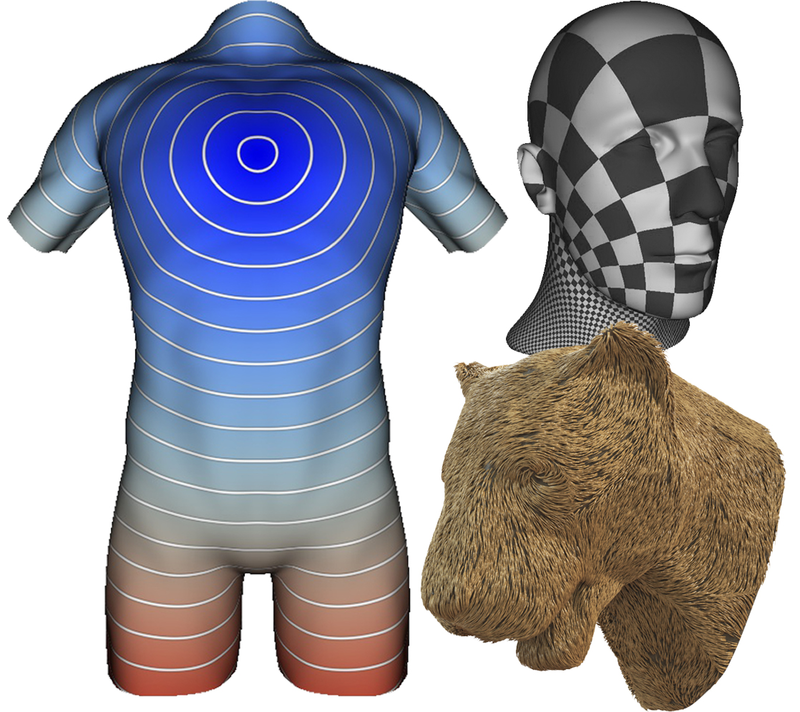 We demonstrate the versatility and efficiency of SEC on common geometry processing tasks including parameterization, geodesic distance computation, and vector field design.